Celebrate your Company Anniversary in Style. Check out our range of Promotional Gifts & Case studies. Click through for some Creative Tips. 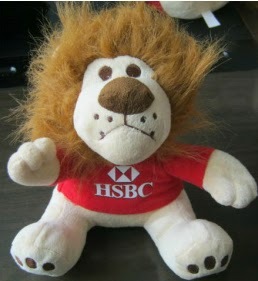 HSBC has recently introduced a custom lion plush within its anniversary gifts. This will have an impact in value perceived by customers as HSBC will be sharing such a special date with all of its customers. Offering a promo gift during a company anniversary is a good way to increase sales, foster customer loyalty and increase brand awareness. Celebrating your company anniversary is one of the best ways to attract customers. When customers learn of an anniversary promotion going on, they would head down to the store more often to learn about what deals they can get. This would help to increase sales. For anniversary gifts purposes, it is really essential to offer exclusive items to your customers to make sure we attract them with not common designs. We all have seen plush bears and teddy bears everywhere. This custom lion plush will definitely show people that HSBC is exclusive and thinks about its customers. Maybe every year they could introduce a different plush animal to make a collection? Fascinating! We have seen HSBC doing great anniversary promos in the past too. As part of their 150th anniversary, HSBC bank has used some excellent marketing to promote their global supply chain. Within the advertisement, we can see how the young girl is growing her business internationally. 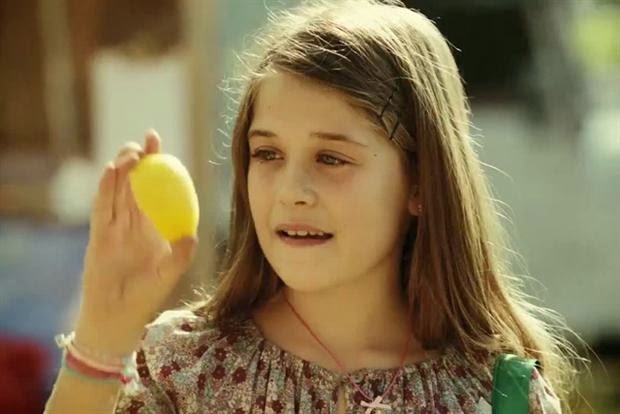 The original sport includes this young girl meeting an entrepreneurial young lemon grower before taking a phone call from a young boy in France who is selling her lemonade. The idea behind the ad is to promote the idea that businesses’ future prospects will depend on international partnerships and that HSBC is well positioned to help companies develop in this way.